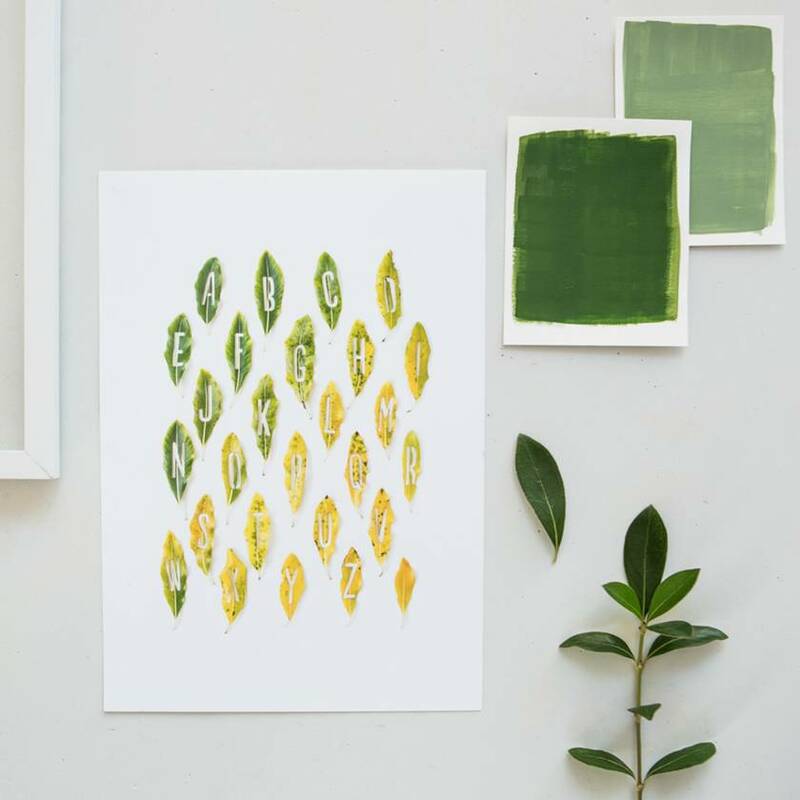 This alphabet print brings natures beauty inside your home. 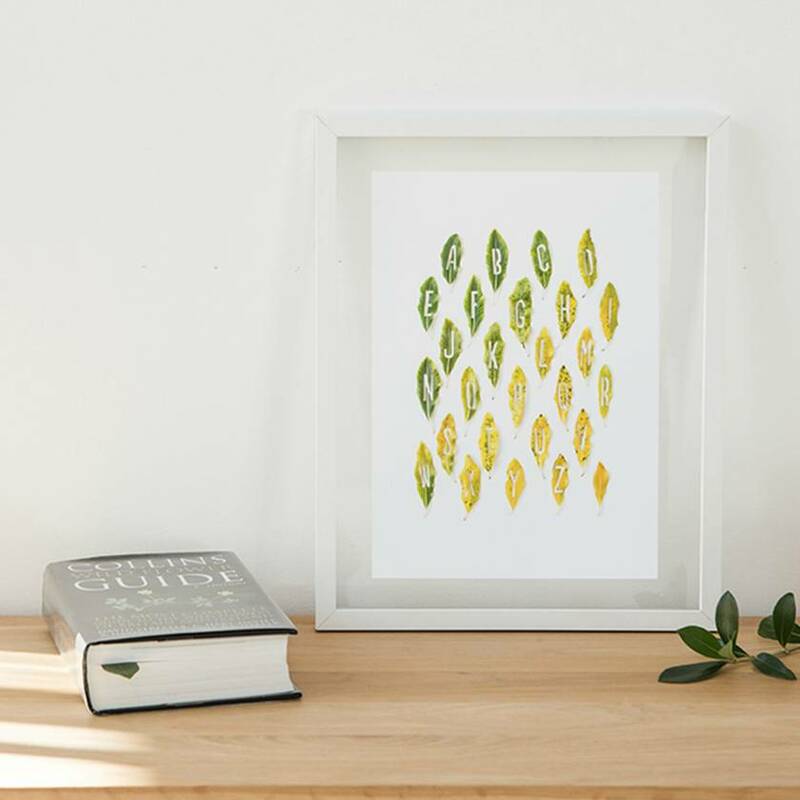 Ideal for wee ones bedrooms or a statement piece on your office wall. 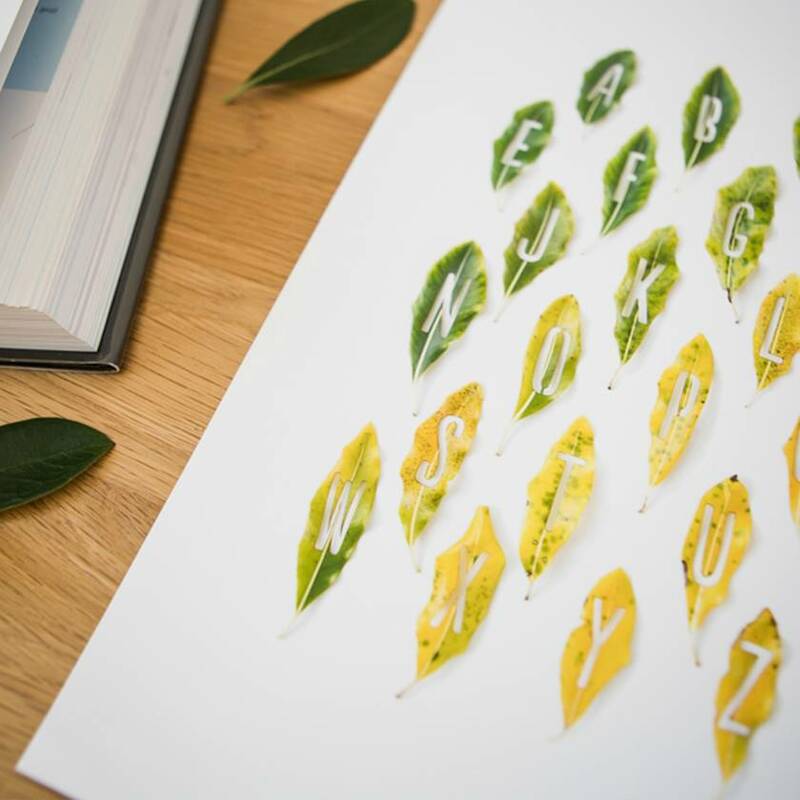 Each (real) leaf has been carefully collected, cut and photographed - No photoshop tricks here!